The digital revolution has created an explosion of cross-border cooperation , creativity and social contacts. The discussion of surveillance , piracy, copyrights and hacking have put Sweden on the digital map , even internationally. Can online activism giving us more freedom ? 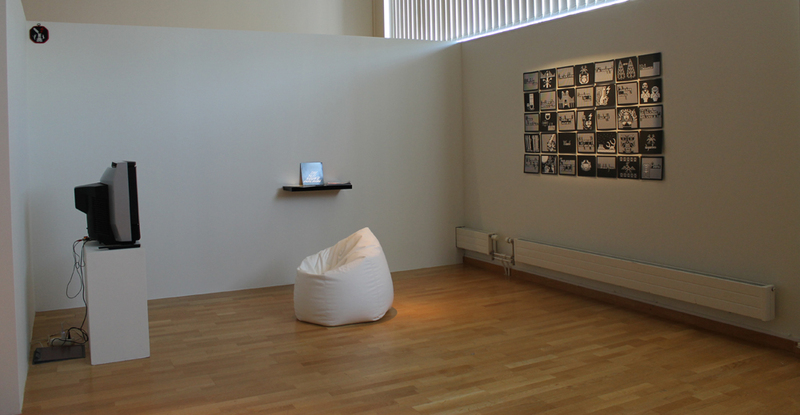 Visitors can browse it with the remote control, just like normal teletext. Text-tv is one of the largest mass media of Sweden, with two million viewers everyday. Its short and reliable information presents a refreshing alternative to the spam freedom of the www. 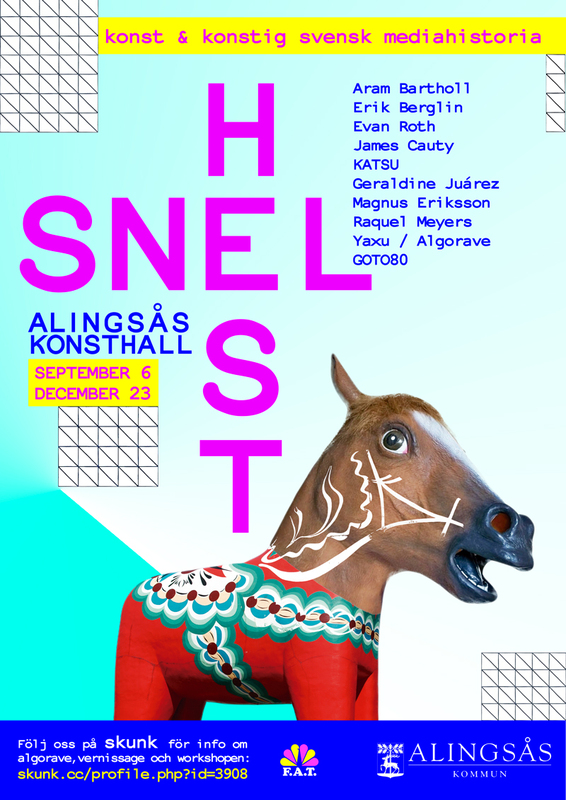 The first part is the Snel Hest directory, gives an overview of the projects and the SNEL HEST exhibition. 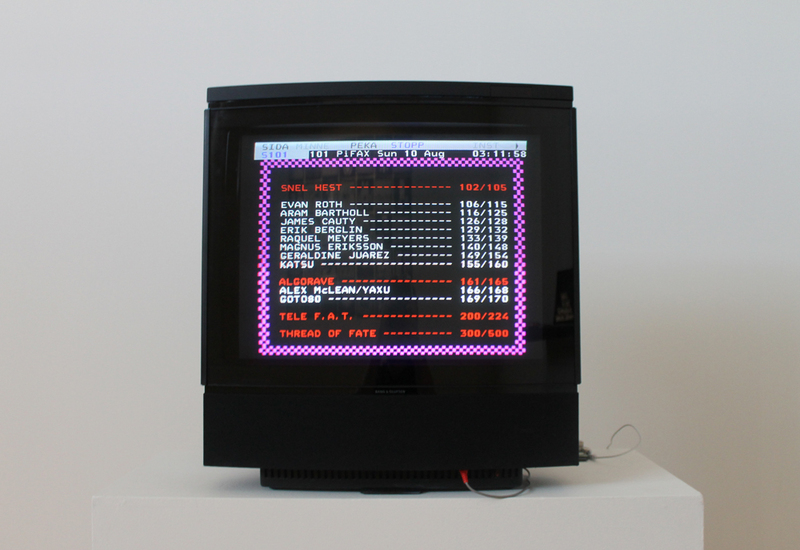 The second part shows ‘Thread of Fate’ (2014) where the visitants can choose their destiny with a teletext page; and ‘TELE F.A.T’ (Release early, often and in text-mode) (2013).